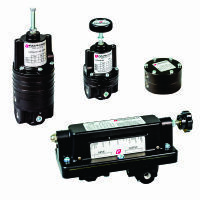 Fairchild's wide selection satisfies your instrument or industrial control applications. 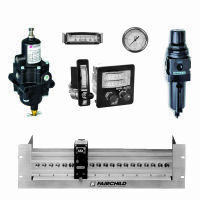 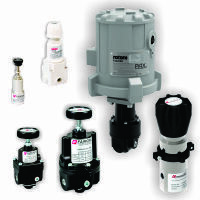 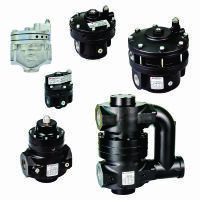 Fairchild pneumatic regulators are available as: precision, back pressure, miniature, filter service, stainless steel, motorized, low pressure and specialty. 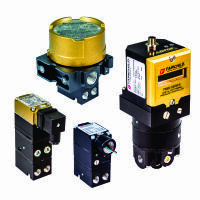 Fairchild's fast response, high flow, compact I/P, E/P, D/P & P/I electro-pneumatic transducers have extensive combinations of inputs and outputs, carry standard FM, CSA, ATEX or IECEx agency approvals, and maintain accuracies of 0.25% or 0.5%.